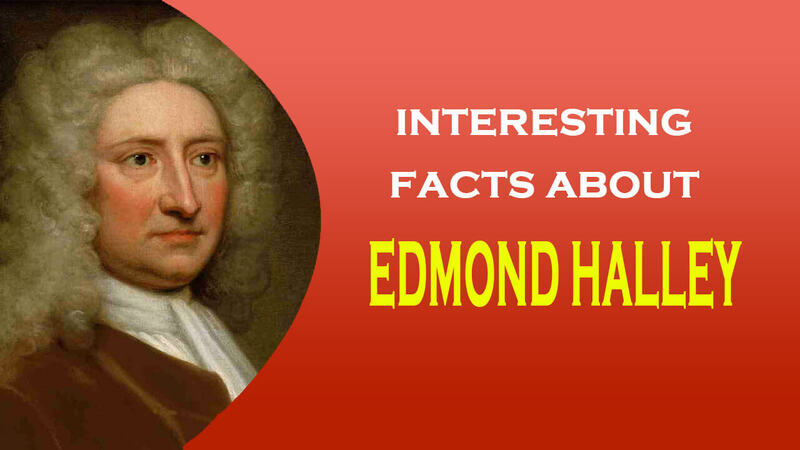 Edmond Halley was born on October 29, 1656 in Hagerston, Middlesex, England (near London) as son of a wealthy merchant, salter and soapmaker. He got educated at Oxford and studied at Oxford University, Queen’s College, 1673-6. He worked with Flamsteed, the Astronomer Royal in 1675-6 both at Oxford and Greenwich, and observed e.g. occupation of Mars by the Moon on August 21, 1676. In November, 1676, he gave up his studies without final exam, and sailed to St. Helena on the southern hemisphere, in order to compile a catalog of southern stars. The reason for this are unknown, but it may be that he wanted to complement Flamsteed’s mapping of the northern celestial hemisphere on the southern skies. Halley observed the Mercury transit of November 7, 1677. After returning to England in 1678, he got his “Catalog of the Southern Stars” published (Halley 1679). Halley was elected to the Royal Society on November 30, 1678, and King Charles II graduated him by mandate in 1679. That year, he was sent to Danzing to visit Hevelius. In 1704 he was eventually appointed Savilian professor of geometry at Oxford, well to the dismay of Flamsteed. In 1705, he published his “AstronomiaeCometiae Synopsis”, including his observation that the comet he had observed in 1682 had an orbit almost identical to those of the comets of 1531 and 1607, and concluded these were apparitions of one and the same comet, the return of which he predicted for 1758. In 1710, Hally discovered the proper motion of some “fixed” stars when using Ptolemy’s catalog. In 1712, he arranged to publish Flamsteed’s observations and star catalogs, an endeavor he had worked on for a long time, heavily opposed by Flamsteed –who later (in 1715) arranged to burn all remaining copies he could get, about 300 of the total edition of 400. In 1715, Halley published a summary of the variable (“New”) stars known at that time, six in number (Halley 1715), and in 1716, a summary on the known “nebulae”, also six (Halley 1716). Halley passed away on Januray 14, 1742 in Greenwich, England at age 87. The astronomical community has honoured Halley by naming each one crator on Moon (8.0S, 5.7E, 36.0Km diameter, named in 1935) and Mars (48.7S, 59.3W, 84.5km, in 1973) after him. Asteroid No. 2688 was named Halley, on its discovery by E.Bowell at Anderson Mesa on April 25, 1982; previously it had been cataloged as 1982 HGI and former pre-discovery sightings as 1955 QNI=1978 SH6=1978 TE9=1978 UO. But certainly he is best remembered for the comet which he first predicted to return, the most famous of all comets, Comet 1P/Halley. Halley originally discovered twp deepsky objects, globular clusters Omega Centuri (NGC 5139) and the Hercules Cluster, M13. His “Catalog of Southern Stars” (Halley 1679) includes 3 nebulous objects, and he wrote one of the first papers on nebulae, including a catalog of 6 entries/objects (Halley 1716).